On January 1, 2007, RPHP began an educational campaign to educate the public and officials about health risks posed by the Oyster Creek nuclear reactor. Oyster Creek, located just south of Toms River NJ, is the oldest of 104 U.S. reactors. It began operating in 1969, and its 40 year license expires on April 9, 2009. Recently, the AmerGen Corporation (which owns and operates Oyster Creek) applied to the U.S. Nuclear Regulatory Commission, asking for a 20 year extension of the reactor’s license. If the application is granted, Oyster Creek could operate until 2029; if denied, Oyster Creek would close permanently. RPHP selected Oyster Creek as a target for an educational campaign on health risks, even though many reactors are being granted 20 year license extensions. Extensive research by RPHP suggests that even compared to other reactors, Oyster Creek has had high levels of radioactive emissions. This, plus the fact that over 4 million people live within 50 miles of the reactor, make the site a logical focus for RPHP. RPHP Executive Director Joseph Mangano discussed the campaign with supporters at the annual RPHP luncheon in New York City on April 17, 2007. On June 12, 2007, RPHP held a press conference at the state capitol building in Trenton to formally announce the educational campaign and release a summary of the report. Speaking at the event were Joseph Mangano of RPHP, Dr. Donald Louria of the New Jersey Medical School, Dr. Rosalie Bertell of the International Institute of Concern for Public Health, and Edith Gbur of the Jersey Shore Nuclear Watch. Four newspapers, four radio stations, and one television station in New Jersey ran stories on the event. If similar changes in cancer rates near the (closed) Rancho Seco CA reactor occurred, closing Oyster Creek could mean 4810 fewer local cancer deaths over 20 years. During 2007, New Jersey newspapers have closely covered the Oyster Creek license extension issue. Joseph Mangano of RPHP has published numerous editorials in U.S. newspapers in the past two years, and is now focusing on New Jersey newspapers. The following editorials, each discussing potential health threats posed by Oyster Creek, have been published. The Newark Star Ledger is the most-circulated daily newspaper in New Jersey (the 16th most circulated in the U.S.), while the Asbury Park Press has the second greatest circulation in the state. Atomic Safety and Licensing Board: U.S. Nuclear Regulatory Commission, Toms River NJ, May 31, 2007. The Board convened a special panel of three judges after a coalition of citizens groups legally intervened to halt the license extension effort. At this meeting, members of the public were given five minutes to discuss concerns with Oyster Creek. New Jersey Commission on Radiation Protection: Trenton NJ, June 20, 2007. The Commission is a panel of professionals that is part of the state Department of Environmental Protection and advises the Governor. It invited Mangano to return (his first appearance was in February 2005) to discuss the report and educational campaign. New Jersey Coalition for Peace and Justice: Linwood NJ, August 6, 2007. 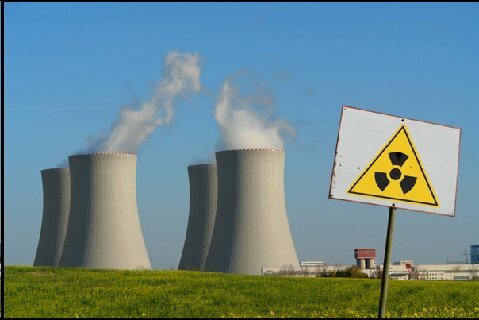 The Coalition is an independent group with an interest in nuclear issues. At its annual meeting on the date the atomic bomb was dropped on Hiroshima, Japan, the Coalition invited Mangano to discuss health risks of nuclear weapons and reactors, of which the New Jersey campaign was a part. Ocean County Chosen Board of Freeholders: Toms River NJ, September 5, 2007. Mangano asked the Freeholders to support a resolution by the Jersey Shore Nuclear Watch endorsing the shut down of Oyster Creek. The Freeholders are the governing body of Ocean County. Ocean County League of Women Voters panel discussion: Toms River NJ, February 20, 2008. The League has invited Mangano to discuss RPHP work in New Jersey at its meeting on January 12, 2008. The following month, he will join a panel discussion in Toms River on Oyster Creek health and safety issues sponsored by the League. On October 2, Mangano appeared on a live show on Princeton’s public access cable television Channel 30. He discussed RPHP research on the health risks involved with keeping the Oyster Creek reactor running. Channel 30 re-ran the show on October 4, 6, and 8. To date, the NRC reports issued in early 2007 recommend that the Oyster Creek license be extended for another 20 years. The NRC plans to make a final decision on license extension in January 2008. However, there have been two legal actions taken against license extension which might delay the process and influence the decision. 1. The New Jersey Department of Environmental Protection requested that the NRC consider potential impact of a terrorist attack on Oyster Creek in its decision. The NRC rejected this request on February 26, 2007, but on April 26, the state filed an appeal with the 3rd U.S. Circuit Court of Appeals. 2. A coalition of six citizens groups, represented by the Rutgers Environmental Law Clinic, has asked the NRC for a public hearing on Oyster Creek, particularly the safety issues posed by the aging and corroding drywell lining in the reactor. The request was granted, and on March 30, 2007, the Atomic Safety and Licensing Board denied a motion by Exelon Nuclear to block the hearing, which will take place in Toms River on September 24, 2007. “The governor thinks a 20 year renewal is not appropriate for a plant that’s operated for 40 years” Elaine Makatura, Director of Public Relations for the NJ Department of Environmental Protection. In David Benson “Corzine Faults Oyster Creek Recommendation,” Press of Atlantic City, February 10, 2007. “I don’t think this should be relicensed for 20 years under any circumstances, just because there’s been too much concern about breakdowns. I don’t think you can give assurances about anything. We have to be safe first and intellectually honest.” In Bill Bowman, “Corzine a Skeptic on Plant, Tax: Gov Opposes 20-Year Renewal of Oyster Creek’s License.” Asbury Park Press, August 4, 2006.